Report: Philly housing market is soaring, but can it last? 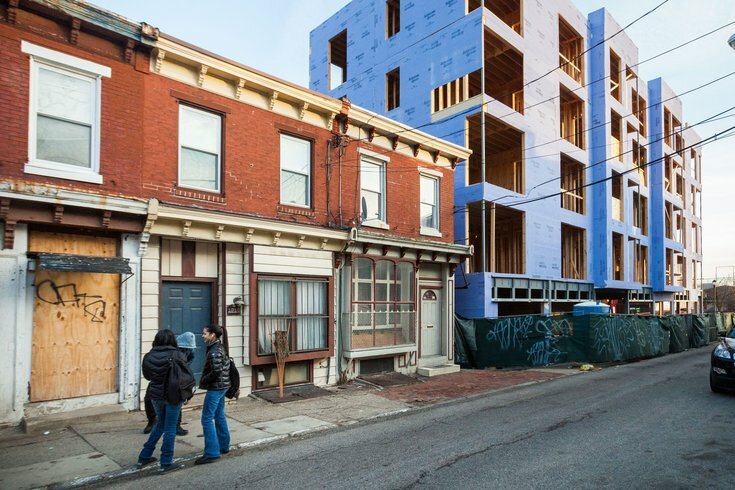 Housing demand in Brewerytown and other gentrifying neighborhoods is on the rise. This week we've already learned that Philly has one of the most promising new shopping districts in the country, but a new report says the city's housing market, too, is another source of rapid growth that locals should note. According to Econsult Solutions, a consulting firm based in Philadelphia, annual price growth on houses in Philadelphia rose 22.2 percent over the last year. It's a bit unprecedented to see double-digit growth in just one year, and since November 2015, prices have risen by 44 percent. Compare that with 2016 median housing prices in Boston proper, which rose just 9 percent, as reported by The Boston Globe in January. Econsult reported the average Philadelphia home sold for $112,000 this past April, compared with $92,000 in April 2016. This is partially due to Philadelphia’s growing job market, which is beginning to outpace that of other major cities; study author Jonathan Tannen, however, is skeptical that this growth is a sign of long-term sustainability in the housing market. The study only covers Philadelphia proper and not the surrounding suburbs. The study notes that preferences for homeownership are shifting, and more people who, in past generations, moved to the burbs, are now finding homes in the city and further driving up prices and values of apartments and houses. “These new in-movers are probably going to move just to the edge of already gentrified neighborhoods, causing the gentrified regions in Kensington, West Philly, and South Philly to spread,” says the study.